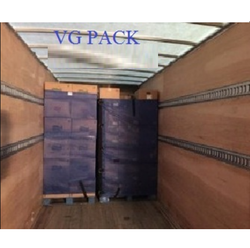 Our product range includes a wide range of pallet covers palletization for shipping. Eco-friendly, reusable pallet covers are 10x stronger alternative to stretch film. They are made of heavy duty ventilated and breathable mesh or opaque vinyl. These Covers are easier and quicker to install and remove saving time and money.